The Winnipeg Police Association presented a $3,000 donation to the St. Amant Foundation on Wednesday, Jan. 18, 2017. Maurice (Moe) Sabourin, President, Winnipeg Police Association (WPA), is pleased to announce the WPA has donated 150 toys to the Salvation Army’s Toy Mountain campaign. 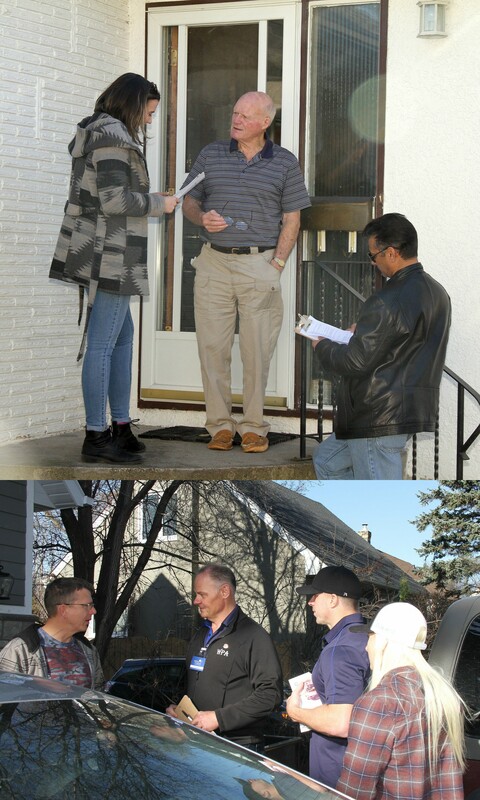 On Sunday, November 6th, 2016 members of the association, off-duty police officers and Cadets volunteered their time to go door to door across the city to find out what is important to the citizens of Winnipeg when it comes to policing. Manitoba Motorcycle Ride for Dad co-chairs Kirk Van Alstyne and Moe Sabourin present Gary Bernard with National Ride for Dad incentive motorcycle give-away prize. 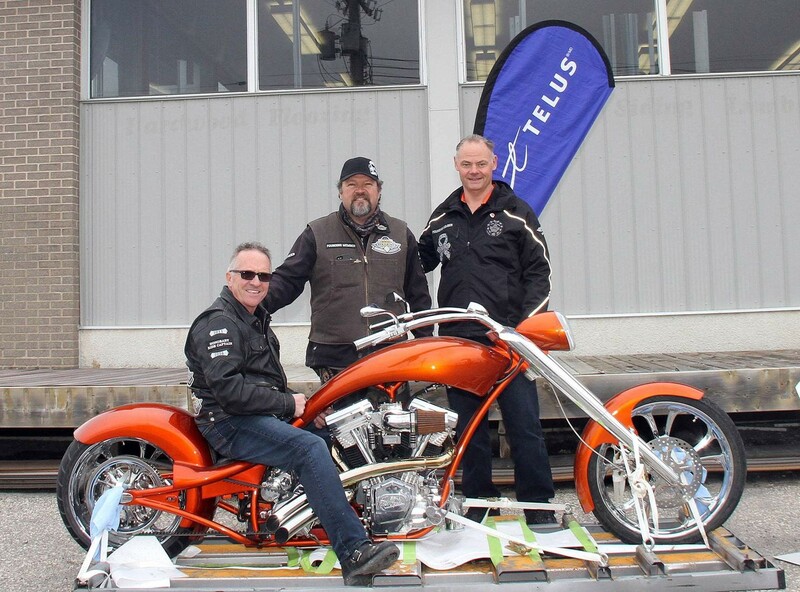 A donated custom build chopper valued at $124,000. 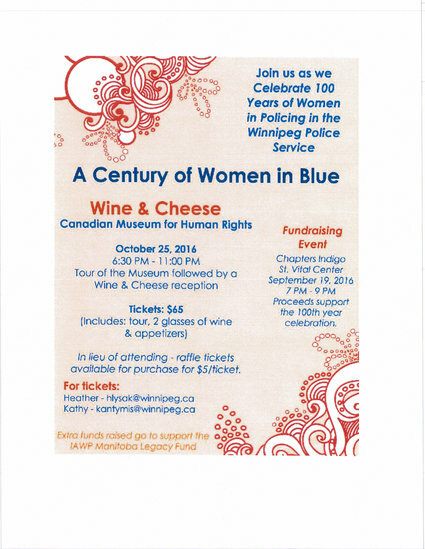 In attendance at the Century of Women in Blue Wine & Cheese was Pauline Pfaff, great granddaughter of Winnipeg's first policewoman, Mary Dunn. Winnipeg Police Officers are parents, friends and neighbours, and we care about the same things as everyone else. Our focus is on keeping families safe – and building on the things that are working. 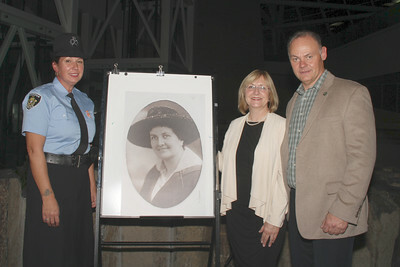 Join us as we Celebrate 100 Years of Women in Policing in the Winnipeg Police Service.